THE IMPACT of a media cartel on a case adjudicated in the Labour Court of South Africa in 2010, by a director of the Resolve Group, partly owned by Remgro subsidiary Kagiso in a dispute in which Naspers subsidiary, Media24 were the respondents, was bound to present challenges. The least of which is the many deals which were being brokered between these entities during the course of proceedings. The cartel includes Kagiso, Caxton, Remgro, Perskor and Naspers. In order to appreciate how this was possible, one must first relate a bit of apartheid history. In 1970 two pro-apartheid competitive Sunday newspapers, The Image (in Naspers ‘s possession) and Dawn (in Perskor’s possession), merged as Report to end the bitter struggle between the newspapers. The combined paper’s first issue on 29 November 1970 appeared. Thus Perskor, a media company started by HF Verwoerd, was gradually absorbed by Naspers. The constant merging and spinoff of new entities, whilst maintaining shareholder control over the units, was to become a dominant theme of Naspers and its media cartel partners, who in turn sort to maintain Afrikaner privilege, in particular the theological basis for race classification and separate development. Caxton, a major newsprint distributor and printer was no different. Its merger with Perskor, during July 1998, occurred shortly after acquiring CTP (Cape and Transvaal Printers) in 1995. This did not stop units and subsidiaries of these holding companies, from suing each other. The competition commission recently heard evidence regarding issues to do with the collapse of Gold-Net News aka Gold Fields Reporter, a community newspaper in competition with Media24 “fighting brands”, in a case involving abuse of a dominant position in the industry. 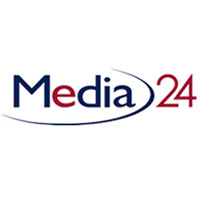 The Competition Tribunal also granted Caxton and CTP Publishers and Printers Limited permission to participate in the hearing of a merger between Media 24 (Pty) Ltd, Paarl Media Holdings (Pty) Ltd and Paarl Coldset (Pty) Ltd. In the merger Media 24 intended to “purchase a 5% share in Paarl Media Holdings as well as a 12,63% share in Paarl Coldset.” The resulting entity has now been listed on the JSE as Novus. The sanctions-busting Rembrandt Group comprises Remgro, Richemont and Venfin, and includes a variety of equity investment vehicles such as Reinet Investments. “Bidco” in turn, comprises RMB Investments, Remgro and Caxton directors Terry Moolman and Noel Coburn. It was involved in the recent buyout of ElementONE, a major Caxton shareholder. Caxton subsequently acquired Perskor and vice versa. The resulting Remgro stake in the cartel which includes Kagiso, Caxton, Perskor, and Naspers, represents a serious concentration of media assets amongst a few Afrikaner businessmen. The impact of the cartel on proceedings before the Labour Court of South Africa would result in calls for the removal of the labour broker and legal professional responsible for drafting a decision memorialising and reiterating the ‘apartheid heresy’ from a top post at the ivy league University of Cape Town, in impeachment and disbarring proceedings that include removal of M H Cheadle from the institution’s Senate. Deals made during court proceedings, included the merger of financial units associated with Kagiso and Sanlam, a major shareholder in Naspers. The late Anton Rupert’s association with Naspers began in the 1940s with the establishment of Tegniek (Technology), the Afrikaans business magazine started by the Rembrandt Group which would later become Finansies & Tegniek (with an English counterpart Finance Week) in the Naspers stable. Mutual projects at the behest of the apartheid regime, orchestrated by Anton Rupert, included the Urban Foundation, set up to exploit the black townships and bantustans, and involving “prominent Afrikaners” Andreas Wassenaar (Sanlam), Wim de Villiers (Gencor), David de Villiers (Nationale Pers), and Jan van der Horst (Old Mutual) as well as Rupert’s own Rembrandt Group. Today, the Rupert dynasty has an effective interest in Naspers via Momentum and Sanlam, including a variety of connection companies. The Rupert-Sanlam connection began with the white supremacist Afrikanerbond and its “volkscapitalisme” emerging with the pivotal 1953 deal which saw Rembrandt’s acquisition of tobacco company Rothmans International, followed by successive deals (South African Breweries, Distell and Gencor), in which white Afrikaner economic interests were shared out amongst a select few. A bailout of Volkskas and Sanlam by Rothmans in the 1980s would put the Ruperts in the proverbial pound seat. Sanlam-Rembrandt partnerships in mining giant Federale Mynbow would follow with Sanlam retaining shares in Rembrandt and vice versa, the “mutual cooperation that will be created by this new and powerful partnership”. “The controlling interest in Gencor was held by Federale Mynbou, in which Sanlam and Rembrandt between them held a 72% stake. As a result, Sanlam became one of the largest conglomerates in the country after Anglo American and Old Mutual.” 3 The often tempestuous relationship between Rembrandt and Sanlam is illustrated in several chapters of Anton Rupert’s biography, written by Naspers editor Ebbe Dommisse and published by Naspers imprint, Tafelberg. Rembrandt would go on to buy out Sanlam’s stake in Volkskas, in the process orchestrating a variety of mergers and spin-off companies. Cobus Stofberg is a major Naspers shareholder, a non-executive Naspers director, and a senior executive at MIH Holdings Limited, a Naspers subsidiary. The pivotal 1994 election year would see the creation of a 50-50 Rupert-Bekker holding company, NetHold, which held the multichoice assets which would later become MIH. Rupert’s Remgro stake however was subsequently spun-off into Canal+ in a complex equity deal which effectively removed Remgro control over the entity. Remgro, currently holds 31.2% of Sabido, the media division of black-owned conglomerate HCI, (eTV) amongst other media assets which include radio stations such as Heart 104.9 FM. Another current Remgro-Naspers connecting company is Dark Fibre Africa. A Bloomberg search reveals that Rudi Jansen of Naspers Limited has “Board Affiliations on Dark Fibre Africa (RF) (Pty) Ltd”. Dark Fibre Africa is held via a complex series of nested companies, and ultimately owned by Venfin, a Remgro subsidiary. Anton Rupert’s 2005 biography contains a diagram of the share structure of Rembrandt, showing SAIL as a Venfin subsidiary. The SAIL website claims the group is “privately-owned” but is involved in DSTV sportscasting, including Vodacom SuperRugby and DSTV delicious. Rupert’s Venfin at the time had a 15% stake in Vodacom. Not only is Remgro invested in SABIDO which owns eTV, it is a crucial part of the MIH Multichoice bouquet and resulting Media Cartel. The latest scandal involving Multichoice’s dominance in this sector is bound to ring alarm bells. The Suid-Afrikaanse Nasionale Lewens Assuransie Maatskappij Beperk (South African National Life Assurance Company Limited) otherwise known as Sanlam, is perhaps the most difficult entity to deal with. As an insurance giant, it is anything but transparent. It is only in recent years that the Naspers-Sanlam connection has come under scrutiny. A history of the company here and here shows that In December 1917 a small group of Afrikaners including Willie Hofmeyr (a prominent Afrikaner leader and first chairman of the Board of Directors of the then newly established Afrikaans newspaper De Burger owned by Nasionale Pers, and since 1918, Managing Director of Nasionale Pers), started the enterprise. In reality two separate entities emerged from the one holding company, Sanlam and Santam. The one focusing on short term insurance, the other on long term insurance. In 1935 Sanlam bought the shares of the life assurance company African Homes Trust, which would later become Metropolitan Life, from Santam. In effect two companies owned by the single holding company would begin selling units back and forth in a familiar pattern which would repeat itself many times. The Metropolitan deal would later play itself out during proceedings in 2010, as the cartel cemented its control over units that had been opened up to limited black economic empowerment, and giving a semblance of transformation, and yet Naspers itself, opposed the outcome of the Truth Commission and thus resisted the negotiated settlement and transitional justice framework. Afrikaner business intrigue thus really beings in 1940, when Federale Volksbeleggings (FVB) was registered by Sanlam, “giving policy owners a stake in a large number of commercial and industrial companies and providing them with the opportunity to contribute” towards white broad-based development, to their mutual benefit. The foundation of FVB would eventually lead to the foundation of Afrikaner industrial and mining giant Gencor in the 1950s and the ensuing competition for control of South Africa’s industrial sector by the Rupert dynasty, and its takeover of Volkskas which in turn created Amalgamated Banks of South Africa (ABSA) and lead to the creation of Rand Merchant Bank (RMB), owned by Remgro. A variety of co-option schemes and plans to include key black industrialists have further implicated the cartel in a ruse to simply whitewash past associations with the apartheid regime. Patrice Motsepe for instance, owns a substantial stake in Sanlam’s Ubuntu-Botha BEE Scheme. One can’t help but thinking the result is a black PW Botha of BEE. RMB own 100% of Momentum, which in turn is part of a new entity called Momentum Metropolitan Investments (MMI), the result joins both sides of the cartel in an interesting financial merger. The Resolve’ Group’s “total workforce solution” and corrupt relationship at the time, to the above entities is covered here and here. SEE: Apartheid Inc. The Story of Naspers, Media24, and Channel Life.